Intensely grotesque and shocking as hell, Feed is a heavyweight thrill ride through the depths of depravity. Australian cop Philip Jackson is no stranger to the dangerous side of sexual fetishes. He may have found his sickest case yet when he discovers a sinister side to an American website devoted to fat-admiring men and obese women called "feeders" and "gainers." Could the man behind it all be -feeding missing women to death? Tense, dark and deeply disturbing, director Brett Leonard (The Lawnmower Man, Virtuosity) takes the crime-thriller genre to a twisted, gut-wrenching new level. 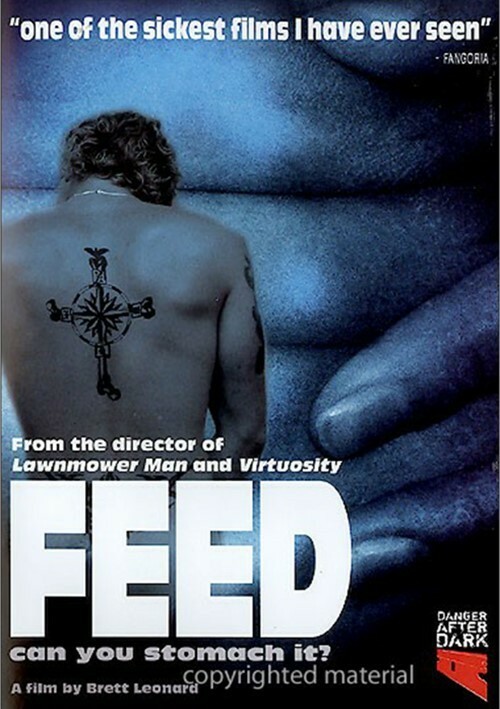 could not tear my eyes away from Feed, one of the sickest films I have ever seen." I know a little bit about the "gainers & feeders" culture, so I was a little hesitant about watching this but I'm glad I did. It's pretty disturbing with some of the imagery but FEED is a awesome thriller too with a twist that M. Night Shamalayan should take a cue from. Don't listen to the bad review, I mean come on...who watches films on tape anymore? Kiwinz, I'm sorry but I'm not sure if we saw the same film. Is it masterpiece theater? Of course not! Is it a grotesque rollercoaster ride? Hell YES! FEED is one of those films perfect for a summer night. Bizarre, campy but most importantly unbelievable disgusting and sick...three stars for sure! Sorry folks - not my kind of film - infact the storyline is full of holes - so much so that its incredible! I was really expecting a bit of tension, a few frights here and there together with a few twists - but nope! Just a sick waste of tape as far as I am concerned! Its lucky to get ONE star!